The Australian state of Queensland is an extraordinary place. Home to buzzing cities, beautiful coastlines and bewitching Outback wildernesses, there are enough experiences to fill a lifetime. 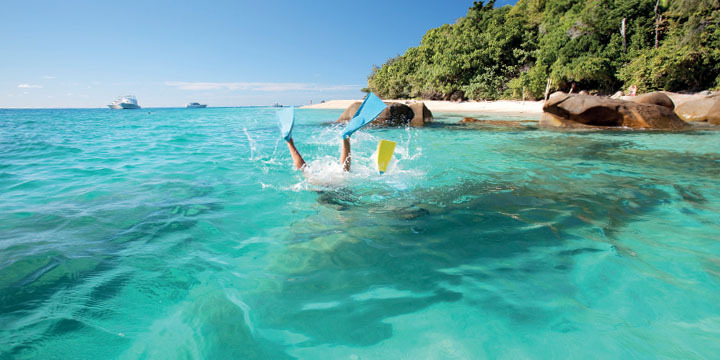 Sailing the Whitsundays, trekking in the Daintree Rainforest, learning to surf on the Gold Coast, kayaking the Noosa Everglades and finding clownfish while snorkelling on the Great Barrier Reef are all bucket-list-worthy items. 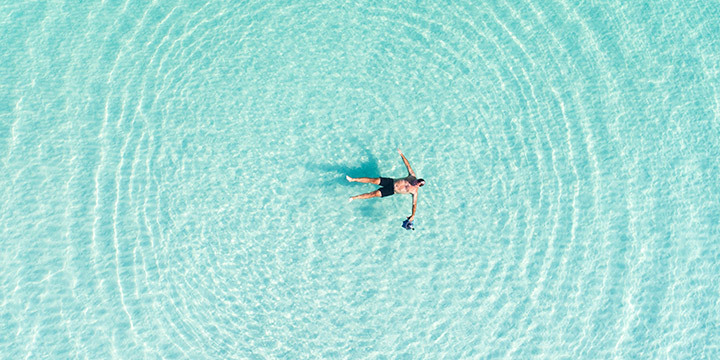 This page will help you whittle things down, showing incredible tours and the like to best soak it all up, and there’s information at the bottom to make your trip as smooth as the talcum powder parading as sand on Whitehaven Beach or Fraser Island’s Lake Mackenzie! The World Heritage site of Fraser Island is one of the world’s most breathtaking places. It’s the largest sand island in the world, and on its eastern side has a 75-mile long uninterrupted beach – that’s about the length of the English Channel. Ridiculously epic, right? It’s home to over 100 freshwater lakes, which are some of the cleanest in the world; you can drink right out of them, no worries, mate! It’s literally crawling with eye-popping wildlife, from dingoes to monitor lizards to bandicoots. This place was made for adventure! Check out our incredible return flight fares to Brisbane. You simply won’t find a better rate out there! 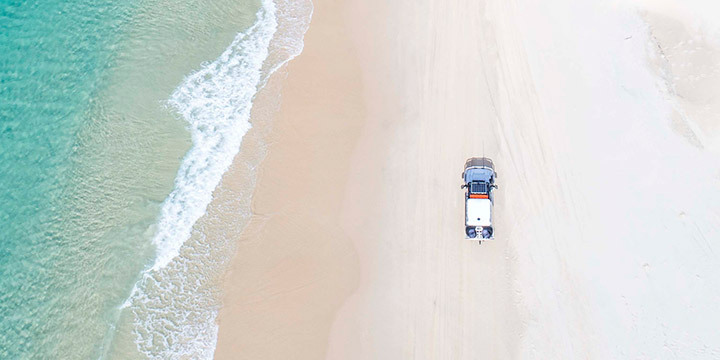 Fraser Island was made to be explored. Check out the tours to see how you can experience it and miss NONE of the best bits. Joining a tour can not only be absolutely epic but save you money. Join up with a group and explore everything Fraser Island has to offer with one of our carefully selected tours below. Further north you’ll find more wonders. 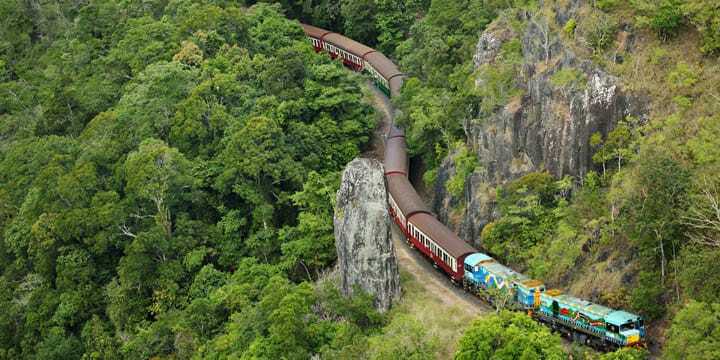 Tropical North Queensland is a region of truly spectacular sight, from the pristine corals of the Great Barrier Reef, to the beautiful and mysterious Daintree Rainforest, to the lush landscapes of the Atherton Tablelands. The coastline is punctuated by endless idyllic sandy beaches, with paradise islands sprinkled just off shore, while inland is a bounty of gorgeous waterfalls, stunning crater lakes and the otherworldly moonscapes of the Outback. And don’t even get us started on the wildlife. 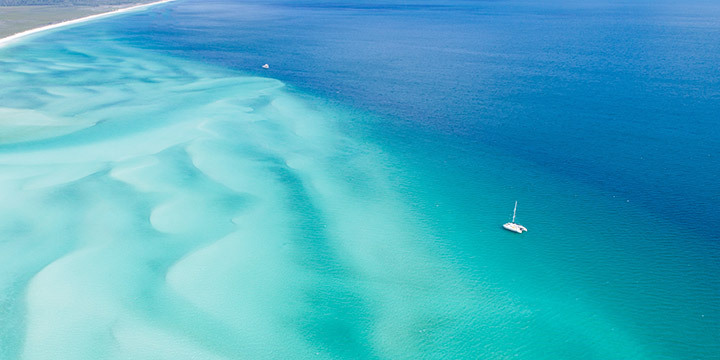 While you're exploring the northeast coast of Queensland, make sure you add the Whitsunday Islands to your itinerary. You wont regret it! 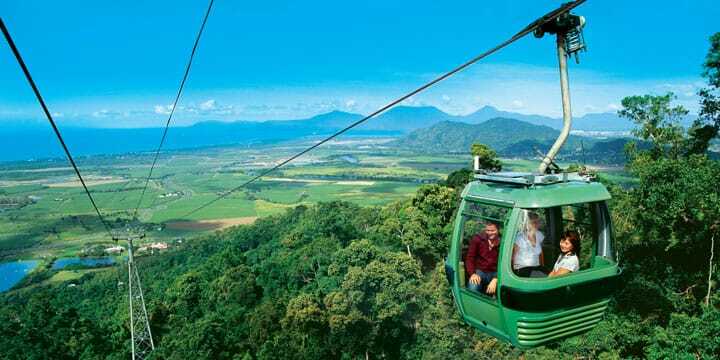 Cairns is the main hub from which to explore the wider region, with lots of hostels and major transport links, including an international airport. 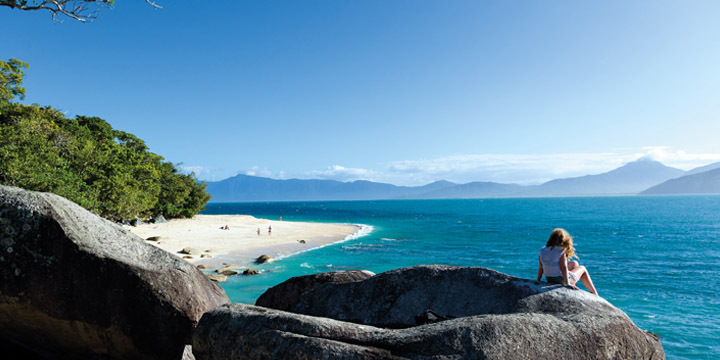 We’ve got exclusives deals on return flights (with only one stop) to Cairns and the Great Barrier Reef. You simply won’t find a better rate out there. You can save even more money by combining your flight with an amazing tour. 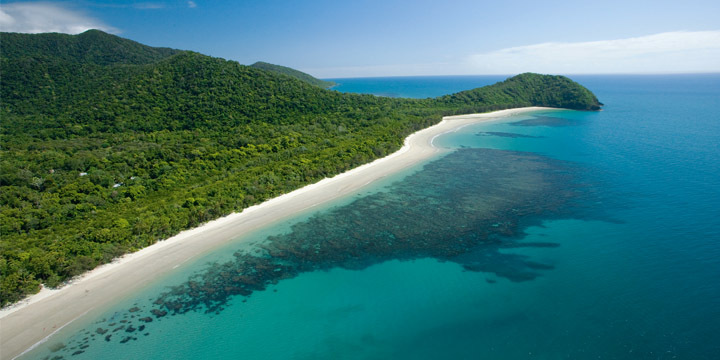 Explore the stunning Tropical North Queensland and much much more. Cairns is backpacker central in Tropical North Queensland, so there are heaps of options for quality budget accommodation. Check out our listings and choose one of our selected hostels. Tropical North Queensland was made for tours. 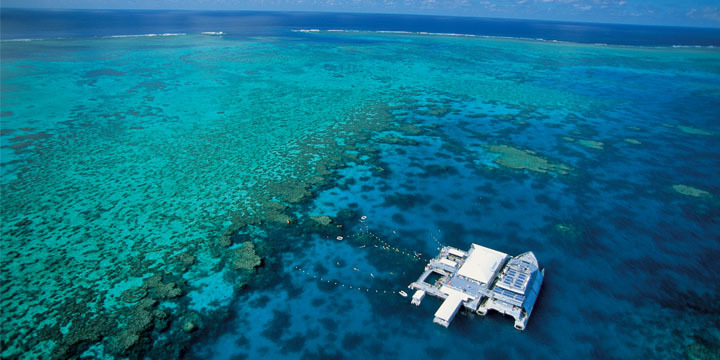 Choose between scuba diving on the Great Barrier Reef, trekking through ancient rainforests, swimming in waterfalls and so much more. Joining a tour can not only be absolutely epic but save you money. 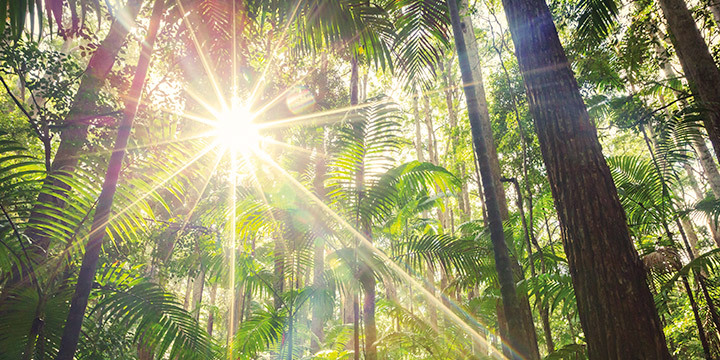 Join up with a group and explore everything the Tropical North in Queensland has to offer with one of our best carefully selected tours below. I’m sold. How do I get there? You may not be surprised to learn the easiest, cheapest and fastest way to get to Australia is to fly. Currently there are no direct routes from the UK to Queensland but with one change you can enter via Brisbane in the south of the state or Cairns in the north. 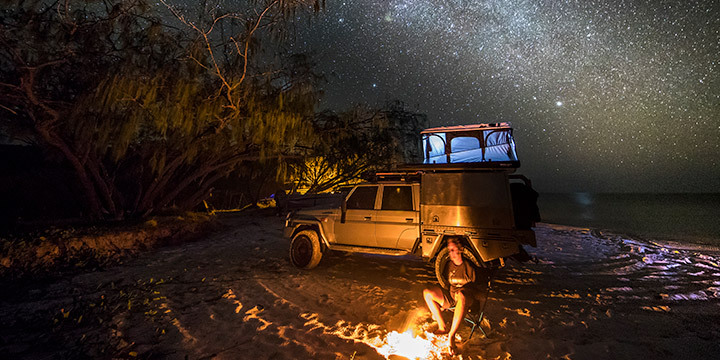 What’s unmissable on Fraser Island? Just being on the island itself is enough to make most people’s jaws hang loose, but an absolute must-see is Lake McKenzie. It’s the largest of the island’s freshwater lakes. Another top experience is the view from Indian Head, where you can see plenty of marine life in the waters below. The best way to get there is to join a tour – this will cover your ferry to and fro, and also ensure you experience all the best stuff once there, and your accommodation (or camping gear, if you want to stay on the beach, and you should). Yes. Next? Oh, right, you need more info. Okay. If you’re a tourist with no plans to do paid work, you’ll need an Electronic Travel Authority, which you can apply for online – about £15. This will allow you to stay up to three months. If you want to work, you’ll need an Australian Working Holiday Visa. Compared to the UK, Australia’s seasons are upside down. The best time to visit Queensland is during Australia’s autumn and winter (it’s still very warm, trust us). The spring and summer temperatures are much the same (25-30°C) but with higher humidity and much more rain. Stick those jeans right back in the wardrobe and dig out the shorts and vests. And flip flops. Which are called thongs in Australia – you’ll be pleased you learnt that here before going. Everything else can be bought there, including sun cream, which is wayyyy cheaper in Australia than the UK. We strongly recommend you join a tour – this way you won’t have to worry about getting around, as it’ll all be taken care of for you. Other benefits of joining a tour include sharing the experiences with a likeminded group of friendly people, many of whom will become buddies for life. Queensland has some splendiferous wildlife that upon being spotted will be sure to get your adrenaline pumping. Expect all the classic Aussie creatures – kangaroos, dingoes and crocodiles (give those a wide berth) – and many more, like cassowaries and platypuses.